A doctoral (Ph.D.) research assistant (RA) student position is available on the Synthesis, Characterization, and Modeling of Pristine and Atomic-Layer-Deposition-Treated Individual Nanoparticles. The Ph.D. position is financially fully supported including the tuition and stipend. Objectives: (1) synthesis spherical nanoparticles (NPs) of various sizes, (2) develop a methodology to quantitatively characterize the mechanical behavior of individual NPs, and (3) apply the methodology to investigate the effect of atomic layer deposition (ALD) on the mechanical behavior of individual NPs. Bachelor or Master’s degree in Materials Science and Engineering, Chemical Engineering, Solid Mechanics, Mechanical Engineering, or related disciplines. Experimental and modeling experience in the field of synthesis and characterization of nanomaterials, nanomaterials and nanostructures is preferred (but not required). To apply for this financially-fully-supported Ph.D. student position, please send a detailed CV, a brief statement of research interests, and the contact information for 2 references, all as email attachments in PDF format, to Dr. Gang Feng, gang.feng@villanova.edu. 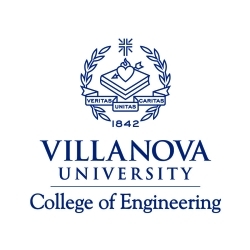 Villanova is a private university founded in 1842 and located in the Philadelphia suburbs. For more than a decade, Villanova University has been ranked #1 by US News and World Report in the Best Universities-Master's category in the northern region.